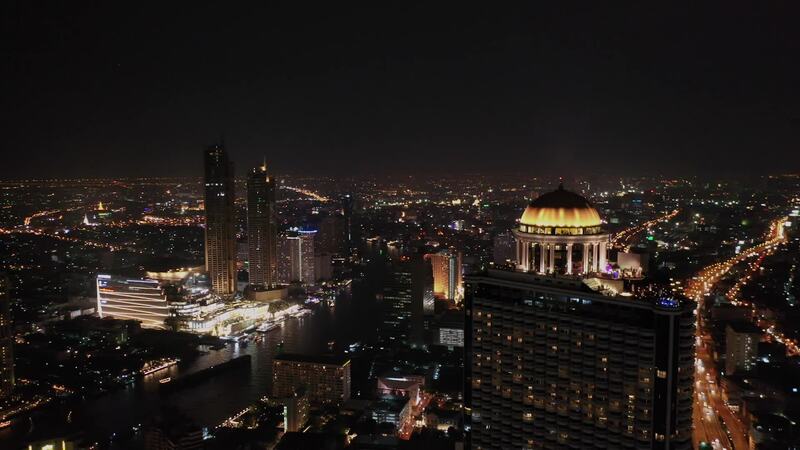 Contributor Drone Homie created this beautiful aerial look at State Tower, one of the most well known skyscrapers in Thailand. Completed in 2001, the 247 meter (just over 800 ft.) the 63 story mixed-use structure features a five star hotel, condos, retail, and office space. It's distinguished by a gold dome on its rooftop, which also features the world's tallest open-air restaurant, the Sirocco. At the time that it opened, the tower was the second tallest in Thailand.